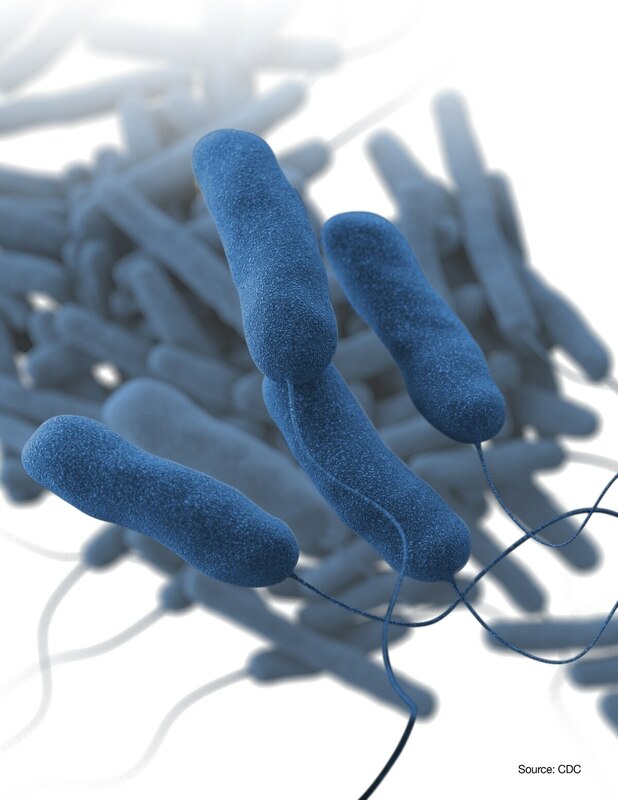 Legionella pneumophila, shown in an illustration, is the bacterium that causes the majority of Legionnaires’ disease cases and outbreaks. Two Brooke Army Medical Center staff members tested positive for bacteria linked to the fast-spreading type of pneumonia known as Legionnaires’ disease, the San Antonio Current in Texas reported. The two staff members work in an administrative building, not the medical center’s hospital, according to the report, and workers in the building have been relocated. The two cases qualify as an “outbreak,” BAMC officials said in a news release. In the most recent large outbreak of Legionnaires’ disease, 12 people died in New York City in 2015, according to The New York Times.